Grub worms can destroy a lawn. 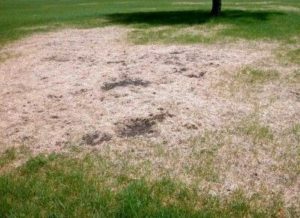 In the Rockwall area, it is common to find these in lawns that have been untreated. Grub worms feed on the roots of your lawn and before you know it….you’ve got a lot of brown patches in your lawn. You may drive through your Rockwall neighborhood and notice some lawns have patches of brown. If there are large trees, maybe it is due to a lack of sunlight, but it is a likely grub worms. There is not a whole lot that we will “upsell” to our customers, but you have paid good money to get your lawn beautiful, and we always want you to get the best out of your treatments. Last year we had a few customers that had their lawn attacked, so this is something we feel strongly about. If left to proliferate, grub worms can devastate your lawn. Recovering is timely and costly. 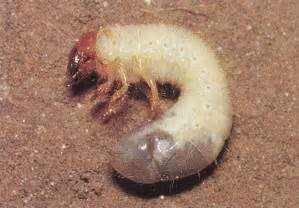 Grub worms are the larval stage of beetles, like the June Bug. The are found in the ground feeding off the roots of your healthy lawn. As they feed on the roots, they kill the grass, leaving brown patches throughout your beautiful green lawn. Not only will they damage the lawn, they are a great invitation for other small animals that like to eat them, such as raccoons, moles, and armadillos. We recommend a grub worm preventative treatment that is applied once a year during the month of May. Pricing for this treatment would be about the same cost as one of your regular treatments. Please contact our office to set up scheduling. Don’t let your lawn be a victim of grub worms. Make an appointment today for your grub worm treatment. We serve Rockwall, Rowlett, Heath, Royse City, Fate and Forney.